The fact that the data for acquiring new customers comes from an external source is precisely why a quality check of the rented third-party directories is essential. After every data transfer, we carry out a statistical analysis. The results show which address units are included in the relevant fields and precisely identify deviations. Finally, our duplicate reconciliation ensures that you generate “genuine” new customers, that your mailshots are not delivered to those who refuse advertising materials, that those who have moved are contacted at the correct address, etc. We offer professional data processing of rented directories, helping to ensure that your advertising campaign is successful. Once we have finished processing your data, you have access to top quality directories with no overlap. 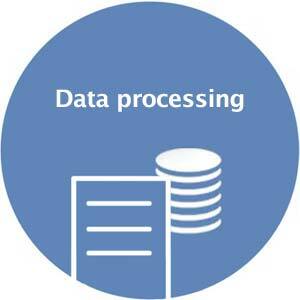 Our expertise in data processing will assist in the quality assurance of your new customer acquisition. Why not contact us? We will be happy to provide you with a quote tailored specifically to your needs. Depending on the dialogue marketing channel selected by you, the options for the data processing of your rented B2C and B2B directories at home or abroad vary significantly. You can block existing customers both for postal mailshots and for e-mails and partially addressed mailshots. Based on which dialogue marketing channel you have opted for, A/B splits, optimisation of postage costs etc. are also possible.